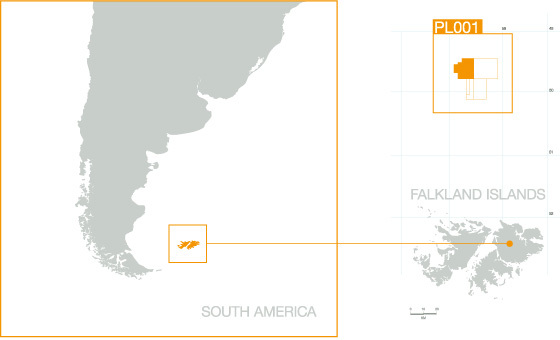 The Company | Argos Resources Ltd Falkland Islands oil and gas exploration. The basin is relatively underexplored and continuing exploration drilling is expected to unlock the potential of this emerging oil province. Drilling in 1998 encountered a world-class oil source rock across the northern part of the basin which analyses showed should be mature at depth for oil generation. The presence of a rich, mature source rock spurred continuing exploration and led to the discovery of the Sea Lion field in 2010. The operator of Sea Lion has stated its intention to develop the field, with first oil targeted in 2017. This will ensure the establishment of infrastructure which will, in turn, facilitate ongoing exploration drilling in the basin. Resource estimates for Sea Lion are reported to be between 245 – 560 mmbo recoverable. 3D seismic has been key in identifying the Sea Lion prospect and this sizeable discovery has significantly de-risked the surrounding acreage. It is therefore reasonable to anticipate that additional discoveries will be made with the continuing application of 3D seismic. It is believed that a second, deeper source rock, mature for gas, condensate and possibly light oil, is also present in the basin, adding further to its prospectivity. Argos Resources was created in 1995 and was awarded Licence PL001 in 1996, one of the first licences to be awarded in the Falklands. The Company participated in drilling two exploration wells on the licence in 1998, both of which recorded oil shows but neither of which were commercial. Wells drilled by others at the same time also encountered both oil and gas shows. These results were sufficiently encouraging to indicate that further exploration in the basin would be worthwhile. The application of 3D seismic as an exploration tool has proven decisive in revealing the prospectivity of the basin, leading to the discovery of the Sea Lion oil field in 2010, the Zebedee oil discovery in 2015 and the Isobel oil discovery in 2016. Argos Resources began trading on AIM in July 2010, raising £22m to acquire 3D seismic to evaluate the potential of its Licence.